At the British Council Recruitment Fair! Charl and colleagues from the University of Bristol are attending the British Council’s UK recruitment fair held in Mexico City over the weekend. See the link to the fair’s Facebook pages, with a photo of Charl discussing the details of a course with a prospective student! The fair is held in the very impressive and very colourful Camino Real Polanco hotel. Emma Turner (Bristol Chemical Synthesis), Terry McMaster (Bristol Centre for Functional Nanomaterials) and Charl visited the National Autonomous University of Mexico (UNAM) on Friday. Terry and Charl visited the Institute of Materials Research to discuss future collaboration and student exchanges in a very successful meeting! 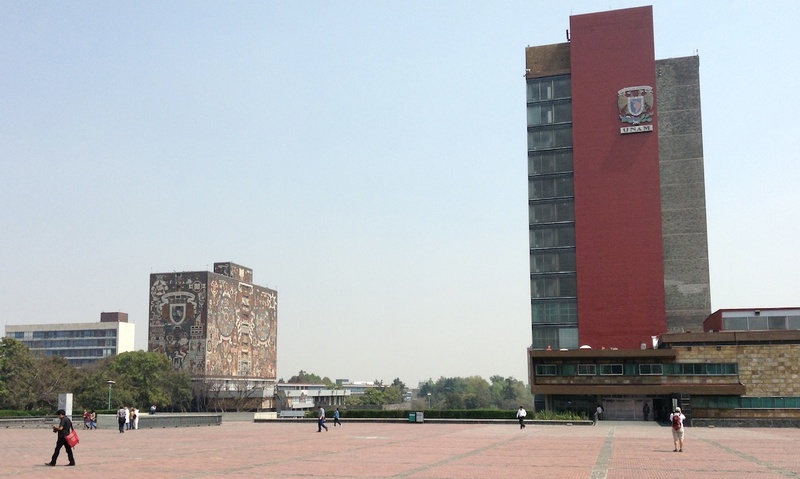 Here a photo of the central library (left) and the rector’s tower on the massive UNAM campus! The University of Bristol has just announced the launch of a new agreement with the CSC. There are 10 scholarships available, for up to 4 years of study at Bristol. If you are interested, then please contact Charl as soon as possible. The deadline for submitting an offer letter to the CSC is the 20th of March. Details of this exciting opportunity is provided here! Interfacial Phenomena in Telluride, Colorado! Charl is currently attending a small workshop (Interfacial Phenomena in Nanostructured Materials and Devices) organised by Paul Nealey and Juan de Pablo (from the Institute of Molecular Engineering, University of Chicago) in Telluride, Colorado. This has been an excellent opportunity to discuss challenges, opportunities and possibilities for collaboration in an informal setting.